UPDATE ONE: Take-Two Interactive's Strauss Zelnick has provided more information on the Red Dead Redemption 2 Online release date. Here's what the Take-Two CEO said during a recent Earnings Call on Red Dead Online, adding: "It's way too early to talk about Red Dead Redemption 2 Online, it hasn't released yet. Zelnick was answering a question on how he thought Red Dead Online will compare to the release of GTA Online. ORIGINAL: It has now been confirmed that fans will be waiting till near the end of November to play Red Dead 2 Online. This was confirmed during a recent financial report from Rockstar Games’ parent company, Take-Two Interactive. The Red Dead Online beta is set to be the next major release from Rockstar Games, who are looking to follow the success of GTA Online. But according to the latest news from Take-Two, the Red Dead 2 Online release date has been set for late this month. With the end of November 2018 the new release window for the Red Dead Redemption 2 multiplayer mode, what dates could we be looking at? Taking in how Rockstar Games has handled launches in the past, a Tuesday or Thursday release seem like good predictions. This is when major GTA Online expansions have gone live in the past and could be a good framework for Red Dead Redemption 2. This would mean Red Dead 2 Online going live on November 27, or November 29, although this remains speculation at this time. So fans will want to keep a close eye on announcements coming very soon from Rockstar Games. Some kind of trailer is expected to be released by the development team before the new online beta goes live. This will likely give a rundown of everything that will be included in the new multiplayer experience. When GTA Online started, it only offered a limited range of mission modes, such as Survival and Racing. So we could be looking at something quite similar for the release of Red Dead 2 Online. 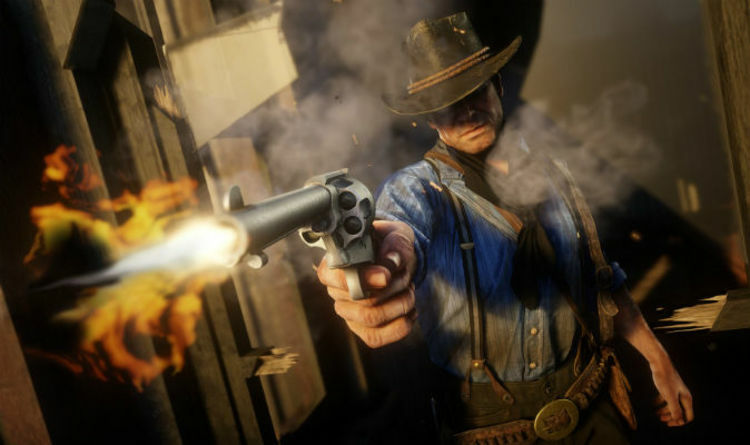 Here’s what Rockstar Games has shared so far about the new mode, telling fans: “As we announced previously, Red Dead Online is a new online connected experience set against the backdrop of Red Dead Redemption 2’s enormous open world. “As with most online experiences of this size and scale, there will inevitably be some turbulence at launch and we look forward to working with our amazing and dedicated community to share ideas, help us fix teething problems and work with us to develop Red Dead Online into something really fun and innovative. “Access to Red Dead Online is free to anyone with a copy of Red Dead Redemption 2 on either PlayStation 4 or Xbox One.